Managing complexity in a multi-sourced world, while aligning scarce resources to highest impact activities, is a constant challenge. Consistent tools, processes and practices drive maximum benefits from third party relationships. Effective management improves performance and outcomes. Linda Tuck Chapman and associates specialize in third party management and governance. Our pragmatic methodologies are built on experience as trusted advisors and former corporate executives, market leading expertise, and best practices. Our hands-on experience in managing and governing complex third party relationships, partnerships, and outsourced operations means that you get best value for money while driving enterprise value. Our proven third party governance strategies and tactics drive enterprise value. 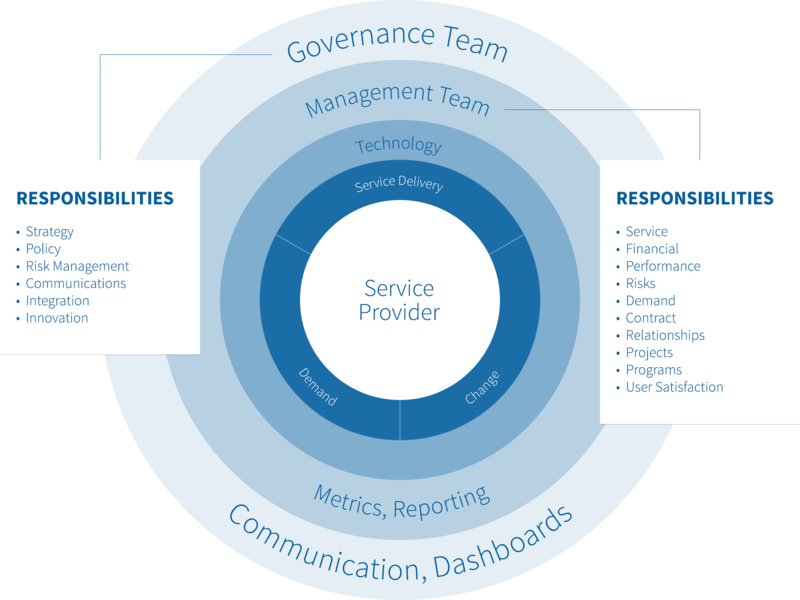 Our hands-on experience and adaptable frameworks, processes and tools ensure you get the job done, creating value while reducing costs and work effort. Our expert advisory services help our clients create management and governance processes and tools to significantly improve business outcomes for one or a portfolio of critical third party relationships, while minimizing resource requirements. Our pragmatic methodologies are built through experience, market leading expertise, and best practices. Linda Tuck Chapman and associates focus exclusively on third party management and governance solutions. Our hands-on experience means collaboration with internal stakeholders and critical third parties to create effective tools and processes to address real-life relationships. We align existing best practices within your company and critical third parties with external best practices. We consistently deliver thought leadership, best practices and market leading expertise. We work with financial institutions, fintechs and outsourcers in multiple geographies, driving enterprise value. As experienced subject matter experts, we bring insight into the most current practices and challenges from across the sector. We can help your company achieve the business case for critical third party relationships or develop a program that will help you manage the whole portfolio.